On founding and running a controversial online sugar dating startup. It's not everyday you hear of new startups catching the attention of the Singapore government. This has been the case for TheSugarBook, an online sugar dating platform focused on connecting people who are seeking mutually beneficial relationships. Not only has the platform been making headlines due to it's controversial nature, it has garnered close to 100,000 members from all around the world since it's launch in December 2015. 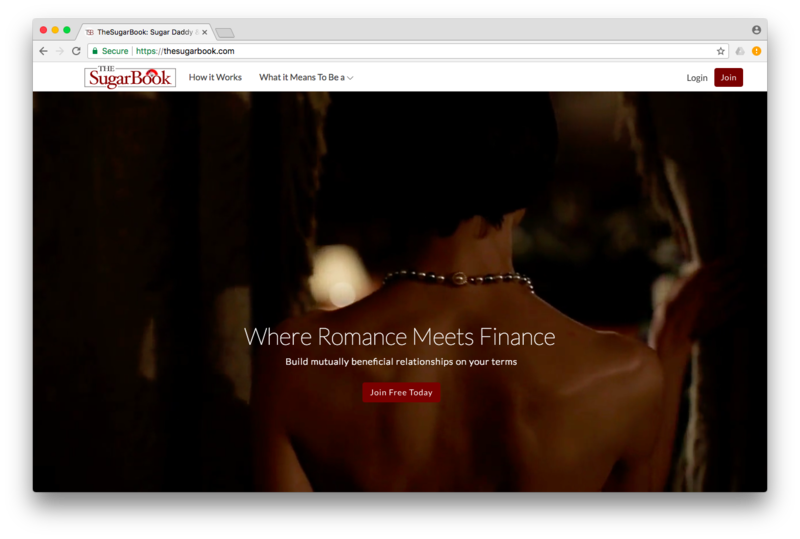 With a tagline "Where Romance Meets Finance", TheSugarBook was founded by Malaysian serial entrepreneur Darren Chan, who was previously part of another startup, GigFairy - An online marketplace connecting musicians with artistes that was sold to Tune Group. 1) How did you get started with TheSugarBook? What was the primary driver for starting this whole venture? Some years back I read a behavioural study on the sociology of human relationships and how our wants and needs have evolved over time and other factors. Women tend to find financial capable men more attractive as she’s considering the need for resources when it comes to having and nurturing children while men care more about youth and beauty as symbols of fertility. I went on to do further research and found out that money plays one of the top 3 reasons for divorce and it got me thinking about how to combine all these elements into an entrepreneurial venture. Creating a niche online social networking platform where like-minded consenting adults can meet, connect and develop mutually beneficial relationships that are based on honesty and transparency right from the beginning led to the creation of TheSugarBook. 2. What are the challenges you face in running a startup like yours? One of the challenges I faced was hiring the right people. Being a leader, we need to have a team that challenges me, able to provide insights in their respective industries and have sound judgment so that the company can develop further and grow. Building a solid team that shares the same vision, who are also capable and strong was crucial for a startup like ours. 3. How did the market respond when you first launched? We launched our website in December 2016 on a global platform and by the time our app was available for download in October 2017, we’ve already acquired over 65,000 members. At this point, we have an estimated 95,000 members from all over the world. We reckon we’ve done pretty well as a niche online dating platform. 4. What are your tips for newer founder/startups that are starting out? To always believe in your passion - if passion is what drives you, you won’t even feel like you’re working every Monday and to build a work culture that is based on your company’s ethos. Ours is about honesty and transparency and we believe in that every day. We work closely together as a team and we encourage the sharing our opinions and ideas. 5. What is your plan to grow TheSugarBook in 2018? We’re looking for investors to work with as we’re planning for expansion to not only a bigger market, but a much more developed market such as Indonesia, Thailand and China. The goal is to dominate our niche in South East Asia. 6. What's the best piece of advice you can give to entrepreneurs and aspiring entrepreneurs? In anything that you do, give it your all. Give it your 100% and you will see returns. Always remember, it is what you do when nobody is looking that really matters. To find out more about TheSugarBook, visit their official website or their profile here. You can send a message or follow Darren via his profile here.